Ten supporting performances are nominated for Academy Awards each year: five male and five female. This year’s batch includes six first-time acting nominees, two previous nominees, and two Oscar winners. Abdi, who moved from Somalia to Minneapolis, MN at the age of 14, had never acted before Captain Phillips. Having spent his childhood witnessing the desperate lives of many Somalis, Abdi brought personal experience and perspective to the role of Muse, one of four pirates who hijacked the Maersk Alabama in 2009. He goes toe-to-toe with Tom Hanks in every scene, completely holding his own against the Oscar winner. After scoring his first Oscar nomination last year for his lead performance in David O. Russell’s Silver Linings Playbook, Cooper landed his second just 12 months later for Russell’s follow-up, American Hustle. As hot-headed FBI agent Richie DiMaso, Cooper gives a subtle performance, never sure whether he’s the puppet-master of his sting operation or another puppet. After giving performances in the Oscar-nominated Inglourious Basterds, Shame, and Prometheus that ultimately didn’t receive the Academy’s attention, Fassbender finally broke into the realm of Oscar nominees for his portrayal of the deplorable Edwin Epps, a cruel plantation and slave owner. Playing both quiet lows and raging highs, Fassbender is genuinely frightening as a powerful man capable of pretty much anything. After surprising the world with his dramatic work in 2011’s Moneyball (and scoring his first Academy Award nomination in the process), Hill returned to the genre in Martin Scorsese’s The Wolf of Wall Street. Hill gives his most complex performance yet as Donnie Azoff, a salesman who becomes the partner of Leonardo DiCaprio’s Jordan Belfort, joining the titular stockbroker in his spectacular rise and inevitable fall. 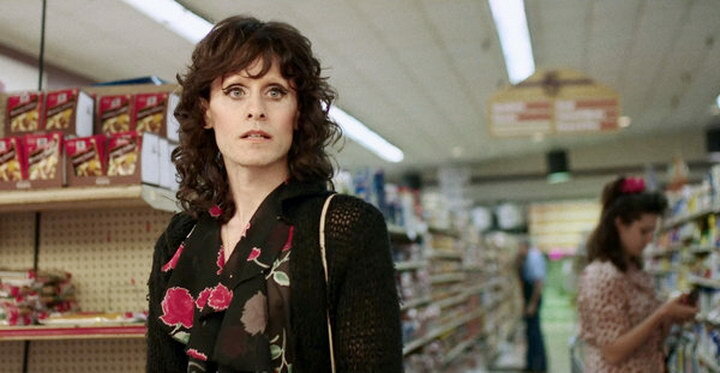 The character of Rayon, a transgender drug addict dying of AIDS who goes into business with a homophobic redneck, is the kind of role almost every actor would kill for, but not everyone would be able to pull off what Leto does with it. Treating her with true dignity, Leto gives the best performance of his career as Rayon, losing himself completely in the funny, proud, scared, heartbreaking, and heart-warming character. Sally Hawkins may not be the main character of Blue Jasmine, but she’s the beating heart of it. Torn between her hot-headed husbands and her familial obligation to look after her stuck-up, deluded sister, Hawkins simultaneously projects effervescence and melancholy as Ginger — a modernized Stella Kowalski, for those who know their Tennessee Williams. Hot off winning Best Actress at last year’s Academy Awards for her stunning turn in Silver Linings Playbook (as well as starring in the highest-grossing film of 2013, Catching Fire), Lawrence has already been invited back to the red carpet for her performance as Rosalyn Rosenfeld, the mercurial, explosive wife of con artist Irving (Christian Bale). If she wins, she’ll be the first back-to-back Oscar winner for acting since Tom Hanks. Like Best Supporting Actor nominee Barkhad Abdi, Lupita Nyong’o scored her acting nomination for very first movie. As the persevering Patsey, Nyong’o is forced to cope not just with being a slave but also with being slave master Edwin Epp’s (Michael Fassbender) most prized slave and his forced mistress. Patsey speaks softly and survives stoically through horrible conditions, but it’s her outbursts of desperate emotion that haunt the most. Roberts hasn’t been invited to join the ranks of Oscar-nominated actors since her starring performance in 2000’s Erin Brokovich, but co-starring with Meryl Streep will bring out the best acting in anybody. As the eldest daughter of a racist, passive-aggressive, vindictive, dying drug addict (Streep), Roberts more than holds her own in a cast stuffed with great actors. It took six decades of consistently good work, but at 84 years old, Squibb scored her first Oscar nomination for performance as Kate Grant, the caring but exasperated wife of a man (Bruce Dern) who’s convinced he’s won a million dollars. As played by Squibb, Kate’s character gets the more laughs from audiences than anyone else in Nebraska. If she wins, Squibb will be the oldest winner for acting in Academy Awards history.